In July, aden + anais launched its first ever collaboration with Disney. This month, aden + anais will ensure that even more families can fall in love with the magic of Disney with the aden by aden + anais Disney collection. 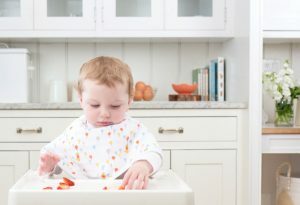 aden by aden + anais is the brand’s accessible collection, which launched earlier this year in the UK at Babies R Us. aden + anais believes that soft, breathable muslin is the only fabric you should use on your babies and that every parent should have access to this wonder fabric and its benefits.By creating similar products to the main collection in the new aden by aden + anais , with just minor adjustments, the calming assurance of muslin is now accessible to everyone, everywhere. The aden by aden + anais Disney collection features some of Disney’s most beloved characters – including Winnie the Pooh + Tigger, Mickey Mouse and Minnie Mouse – have been reimagined in a range of fresh and new graphic prints. Products include a 4-pack of swaddles £29.99, 5-pack musy squares £19.99, 3-pack snap bibs £11.99, burpy bib £7.49, single layer sleeping bag £19.99, 2.5 tog sleeping bag £29.99, hooded towel £12.99, and 3-pack wash cloths £8.99. He’s everyone’s favourite bear, known for his big heart…and his love of honey. This collection sees Winnie the Pooh engaged in his favourite activities: flying a balloon, playing Peek-A-Boo and at home in the Hundred Acre Wood. It’s impossible to confuse these iconic ears with anything else! This collection has turned his big, round ears into art by reinterpreting them with fresh, bold graphics in black, blue and white that have given one of Disney’s iconic characters an original makeover. The most glamorous mouse of all has been immortalised in the aden by aden + anais collection with a range of exclusive prints in bright and beautiful pinks featuring Minnie’s signature bow. 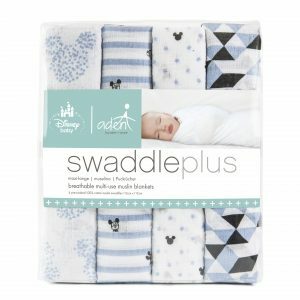 The aden by aden + anais Disney collection on sale now and available from Babies R Us, Amazon and selected retailers nationwide.